Mosaics in Ancient Roman times were a sign of power used to reinforce social structure and social position; they used to be commissioned to cover surfaces with the purpose of preservation or decoration. They were made in a way to complement Roman painting. Mosaics were in demand mainly for being more durable and more vibrant than paintings; archaeological findings are an irrefutable proof of that. Mosaics were expensive as they required a high level of details and a lot of work and time to achieve depending on the size of the space to be covered; but they were everywhere. Roman mosaics indicate the level of evolution Roman art has achieved over the years and a wide range of different materials were used in their making. The origin of ancient roman mosaics art can be found from Greece to southern Italy and Sicily and its development was driven the capacity of Romans to afford them and their desire of display. 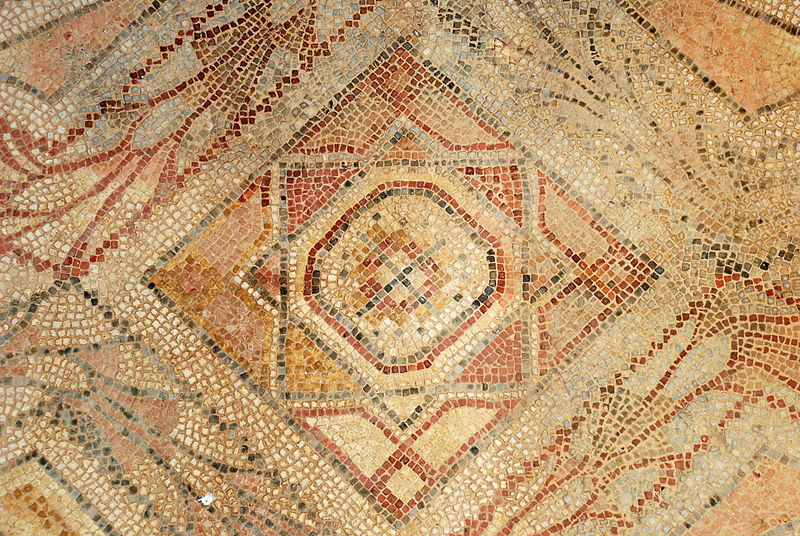 Mosaic work was limited to the use of colored river pebbles and varied techniques developed from the 4th to 3rd century BC: pebbles become rough surfaces and later on consistent cubes. Even surfaces could be made by breaking the pebbles and the singular pieces were refined to cube throughout the 3rd century BC. The shape of the cubes called tesserae depended on the shapes to be designated within the mosaic. For example, a simple geometric design made up of principally straight lines and rectangular forms would only need tesserae of square or rectangular section, whereas a more complex design or image naturally needed the shape of the pieces to vary so that they would follow the form they described.